Hunting and Fishing Expo This Weekend May 9 and 10, 2014 and….. Fishing Derby- May 9 and 10, Cash Money and other prizes, Live Music, Humming bird watching, jeep rental and tours- even a Ping Pong Tournament! Log onto redriver.org and check out This Week in Red River along with the events calendar for updates on weekly and weekend activities as well of shop and dine guide. Sign up for the fishing derby- Deer Lodge has sign up forms ready for our guest cash prizes and other prizes as well as bragging rights! The Chamber will be having raffle drawings. Opening this weekend after a brief break is the Lost Love Saloon Featuring local recording artist Mike Addington. Red River is a year round resort and if you’re up for a mountain retreat where Deer have the right away crossing the street, fishing is prime, you can star gaze and enjoy peaceful evenings (OK the memorial Day Rally is a little loud! ), shop dine and hike to your heart’s content we are ready to accommodate you! Final weekend of the Red River Ski is upon us Sunday the 23rd will be your last chance to enjoy the slopes- at least with the help of a chair lift! 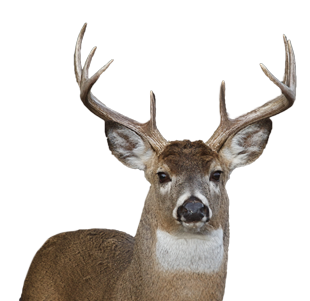 Deer Lodge is offering a 10% discount on our winter rates 15% for military – please bring ID for 3 day stays March 20 through March 24, 2014. Where's the snow? On the ski runs- where we like it. Where's the snow? On the ski mountain- where we like it. Driving conditions couldn't be better (log onto nmroads.com to check on driving conditions before starting your trip). Log onto redriverskiarea.com for the latest in snow reports and events at the area. February 22nd Just Desserts at the Enchanted Forest this annual charitable event brings pastry chefs and chocolate lovers together for a day in the forest. Cross Country ski or snowshoe to tables loaded with sweet treats. Tip: Everyone is invited to partake there’s a dessert table located at the office/rental shop. Full Moon- Valentines Day- Presidents Day Weekend- Just Desserts Annual Sweet tooth and charity event- Mardi Gras in the Mountains- and more! February 2, 2014 Super Bowl Sunday – Enjoy a day of skiing and when the lifts close at 4:00 PM – enough time to rally and choose from a verity of super bowl venue buffets, drink specials. Timbers, The Lift House, Bull ‘O Woods, Lost Love Saloon are a few of the places you can view the game. The Bull ‘O Woods and Lost Love are one block from Deer Lodge. 3-day weekend come treat your self and sweet heart(s) to a long weekend in Red River. Think Snow Red River Ski Area Opening Day!